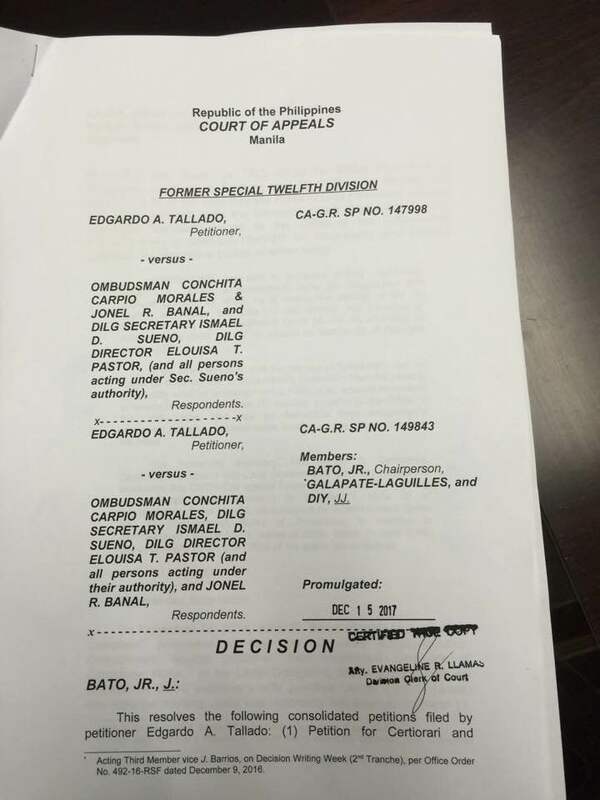 DAET, Camarines Norte (Bicol Standard) -- The Court of Appeals has dismissed the complaint filed against Gov. Egay Tallado for disgraceful and immoral conduct. 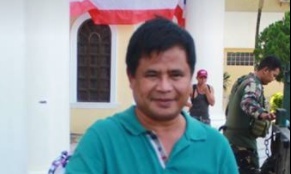 Said complaint was filed by Jonel Banal in 2016. In the information relayed by Sherwin Mata, Public Information Officer of Camarines Norte, he disclosed that on December 15, 2017, the Former Special 12th Division of the Court of Appeals said "the instant consolidated petitions are GRANTED. The Decision dated September 7, 2015 and the subsequent Order/s issued by the Office of the Ombudsman and/or the Department of Interior and Local Government with OMB-L-A-15-0101 are ANNULLED and SET ASIDE. The preliminary mandatory injunction is made PERMANENT. The complaint for Disgraceful and Immoral Conduct is hereby dismissed." The 18-page decision added that Tallado is entitled to be paid the salary and other emoluments that he did not receive by reason of his suspension implemented pursuant to the assailed decision. The decision is signed by Ramon M. Bato, Jr., Associate Justice.